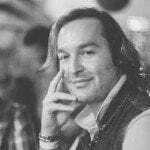 What would you do if you had the power of a god? For Thanos, his first act was to eradicate 50% of all life in the universe. Thus bringing ‘balance’ to the cosmos. Whether you agree with his ideology or not, the fact is that his Infinity Gauntlet is one terribly cool fashion accessory. 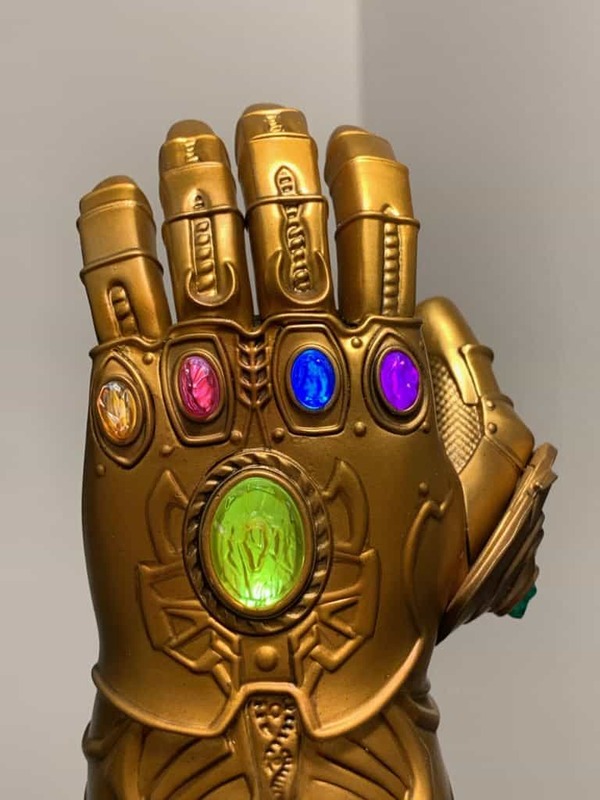 A gorgeous gold glove inlaid with six unique gems known as the Infinity Stones. The kind of device you could only dream of owning… or winning (well, a replica of it). 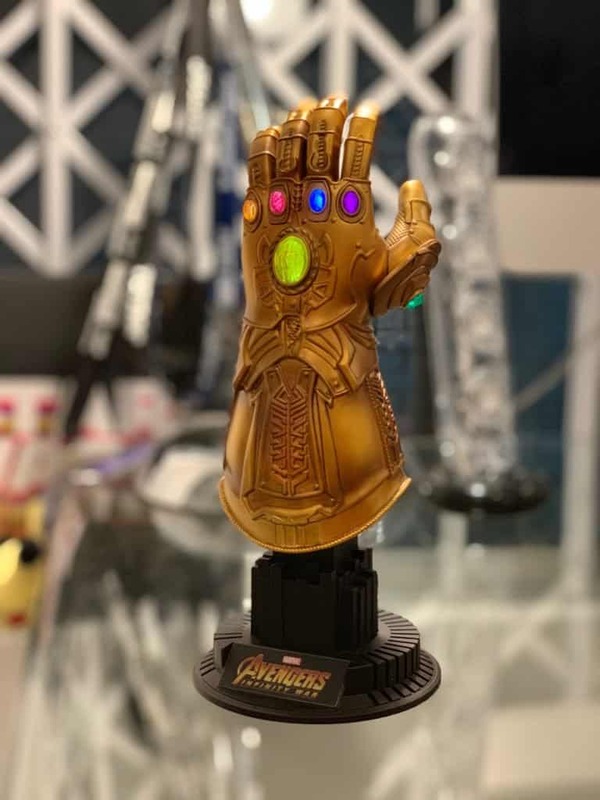 To celebrate the release of Avengers: Endgame, Vamers is giving away a Hot Toys 1/4th scale Infinity Gauntlet. 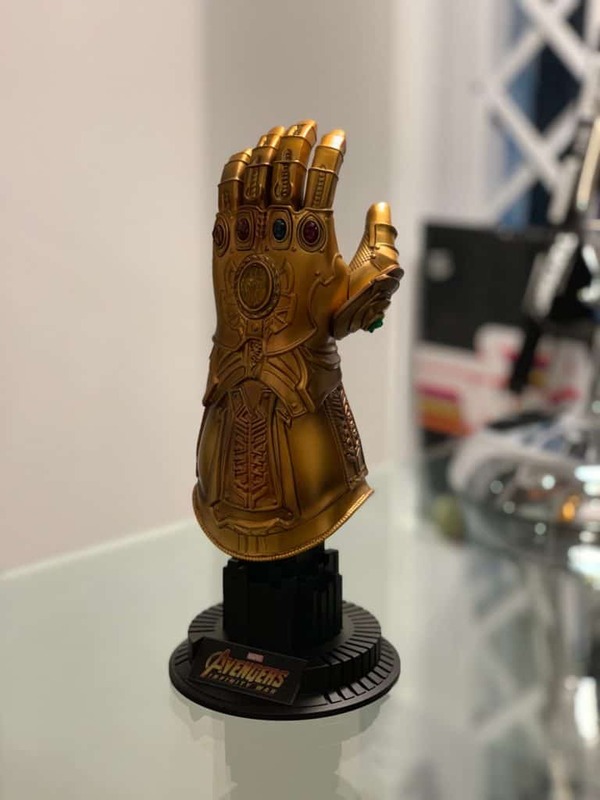 The collectible is valued at R2300, and offers a beautiful quarter scale replica of the device that Thanos wields in both films. 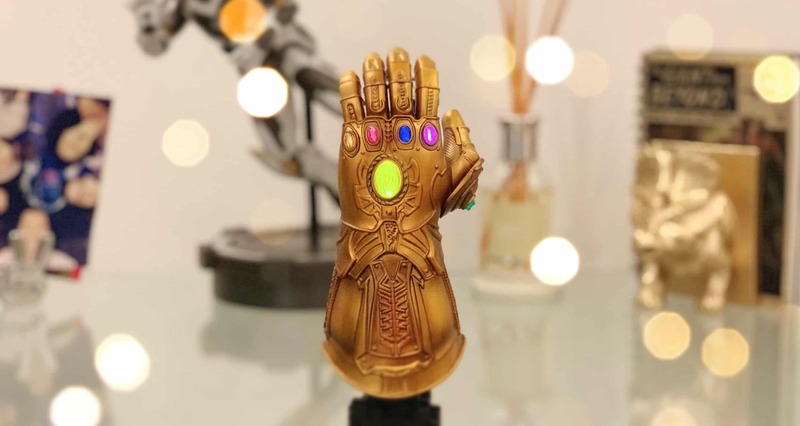 Much like the one seen in the movies, this Infinity Gauntlet has an illustrious gold finish and includes all six Infinity Stones – which actually glow (the Avengers logo on the front is touch sensitive)! 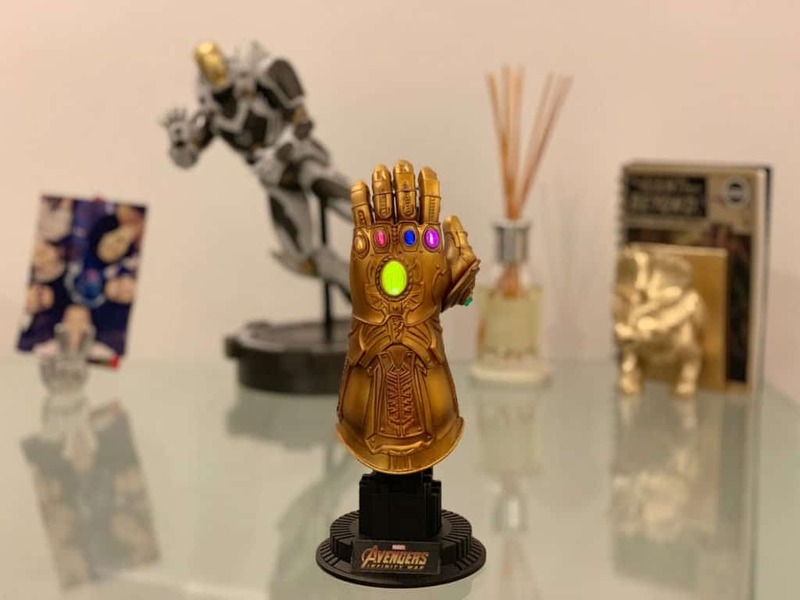 With remarkable movie-accuracy, this quarter scale sized collectible stands approximately 17 cm tall (22.5 cm with included base), and features authentic and fine details present on the Infinity Gauntlet from both Infinity War and Endgame films. 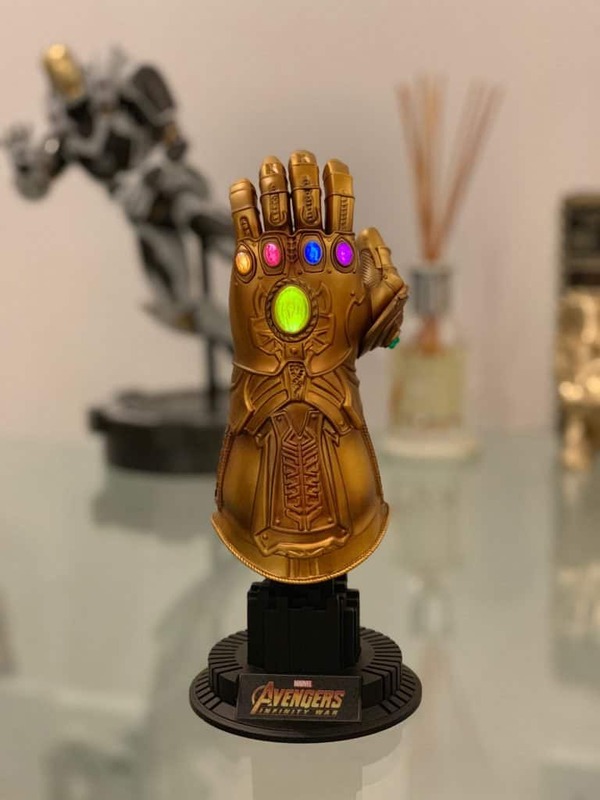 It is equipped with a LED light-up function with two lighting modes (light-on effect and pulsing light effect for the six mighty Infinity Stones). 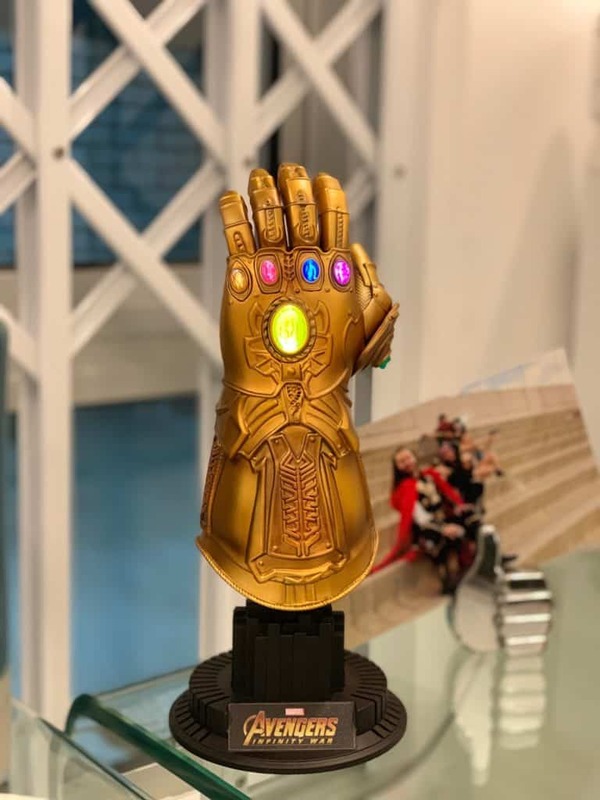 It is also finished with fine metallic painting and weathering effects, and has a specially designed custom base with movie logo that will hold the gauntlet firmly in an upright position (it is touch sensitive to activate the LED light-up effect). If you are ready for a chance to win, then simply keep scrolling down for all of the details. If you would like to purchase one directly, you can do so right here. 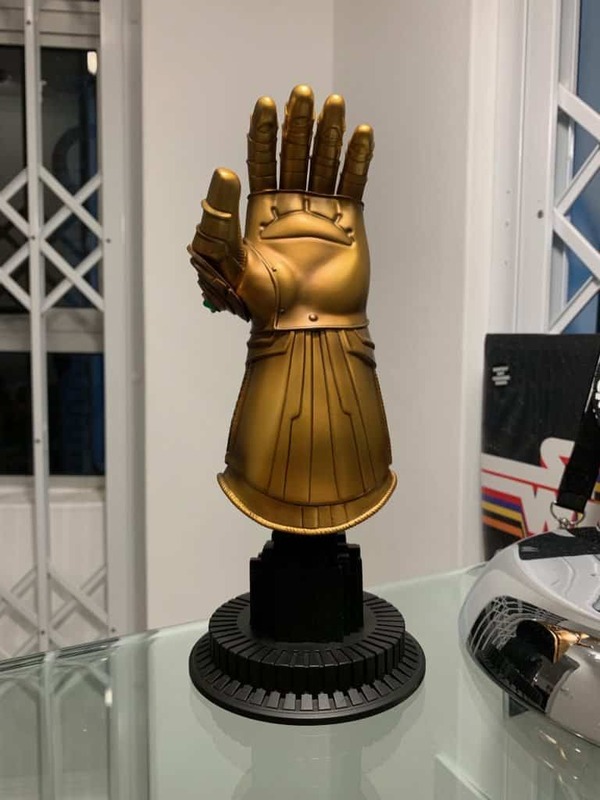 Although this replica of the Infinity Gauntlet may not be worn, it will certainly add a lot of wondrous pizazz to any living space. Especially when the subtle glow of the Infinity Stones gently lights the surrounding area. Ensuring that it grasps the gaze of any eyes that should be so lucky as to see it in all of its glory. Entering the competition is easy. Simply follow the instructions in the interactive widget below to gain entries into the competition. The more entries you have, the higher your chance of winning. Come back daily for additional entries. The Win with Vamers: Hot Toys 1/4th scale Infinity Gauntlet competition is open from 00:00 on 12 April 2019 to 23:59 on 10 May 2019.